diy Easter cards - B. B.
I know this is a little late, but it may be a good idea for next year. My inspiration for making Easter cards this year came from good ole' Martha. She made some really cute egg cards with oval cutouts and a patterend piece of fabric. You can find them here. So cute. Instead of doing an egg, I did an Easter Bunny (mostly cause I had this easter bunny cookie cutter). 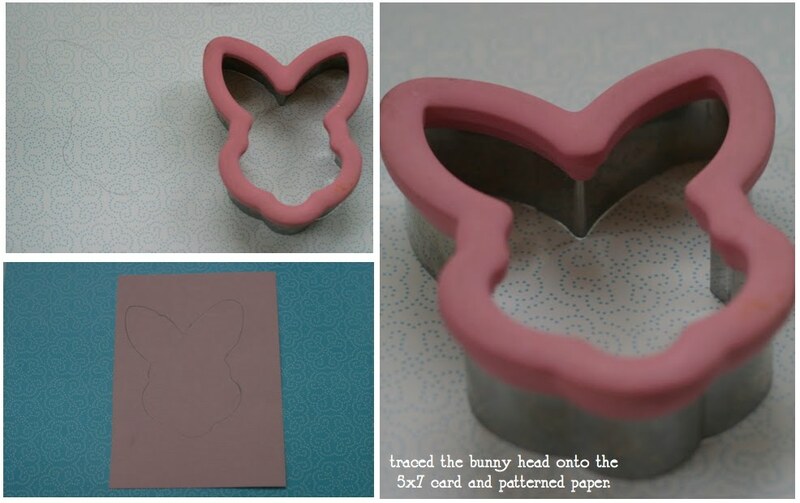 I just traced the cookie cutter shape onto a piece of patterned paper and a 5x7 card. (I bought my 5x7 cards at Michaels with a 40% off coupon, $3 for 12 cards and envelopes). 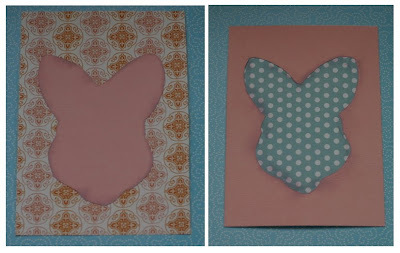 I cut out the shape with a craft knife, bought at any craft store or store that sells crafting supplies. I then just used a basic glue stick to glue the cutout shapes onto the cards. I tried using patterned paper that has a pattern on both sides, so that when you turned the card around there was a design. 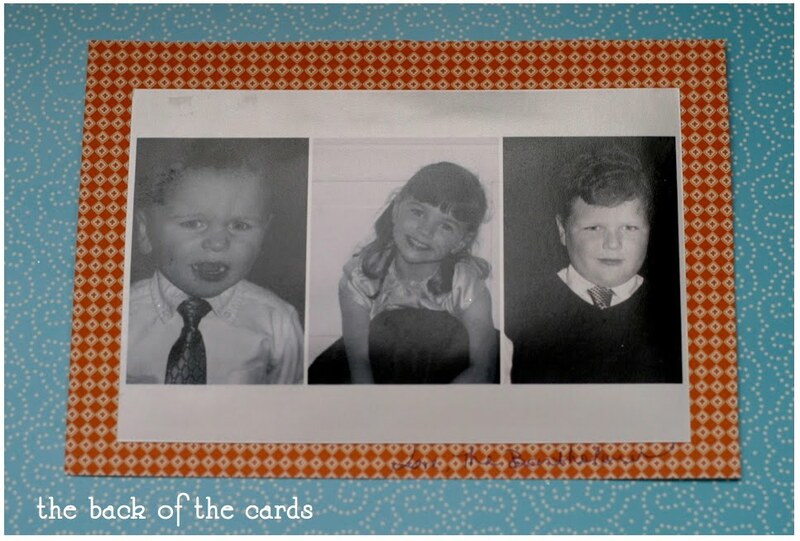 When you turned the card around, I had our Easter picture and a little "love You".